Ok so thanks to a host of complications, mainly due to my own incompetence with computer things (in spite of my digital online editor based job – I know, ridic) I have changed blog hosts again. This one is very complicated behind the scenes, too. I’ve just spent the best part of half an hour scrolling through my set-up options with a frown in my forehead that thanks to my 30 years, will probably stay there. GREAT. Anyway, in light of my impending jaunt round Australia I thought I’d better figure out a better way of communicating, and WordPress promises I will be able to do this. As soon as I figure it out. 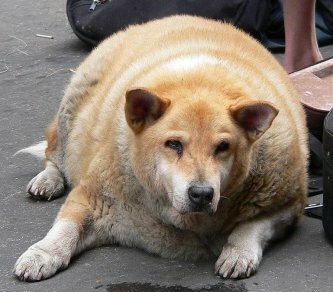 I’m testing a photo of a fat dog now, just for kicks.